A beautiful vista, a classy locale, and an interesting bit of trivia for a movie fan. In 2006, the world was impressed by a reboot of the James Bond franchise when Daniel Craig took over as our favourite spy in the movie Casino Royale. Considering how Bond had become something of a cartoon character over the years, it was refreshing to see a return to a darker realism. Okay, still far-fetched, but a more thrilling ride. I won't delve into the movie and its plot, but the final scene of the movie shows the mysterious Mr. White driving up to Villa La Gaeta on Lake Como, Italy. It is a fabulous residence with a spectacular view. Breathtaking. This has to be how the truly wealthy or the truly evil live. YouTube: Casino Royale Final Scene "The Name's Bond... James Bond." There's no doubt, this is a gorgeous property. 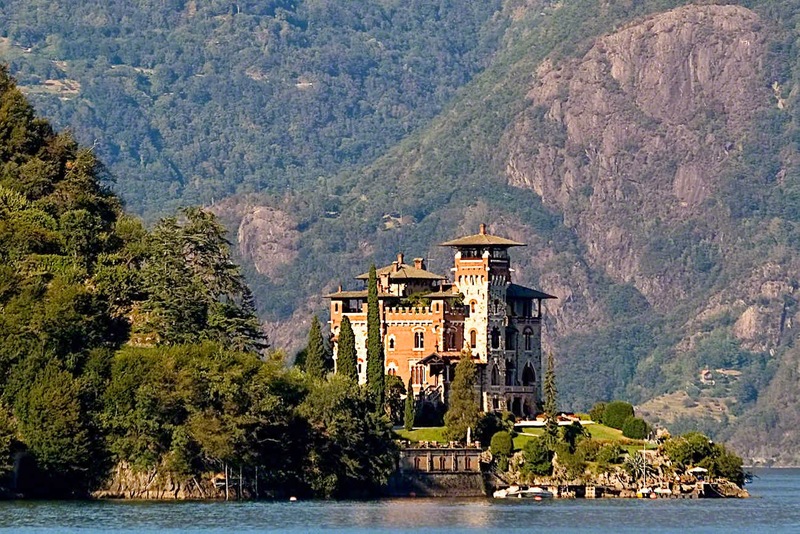 - Oh heck, it looks like everything beautiful on Lake Como. 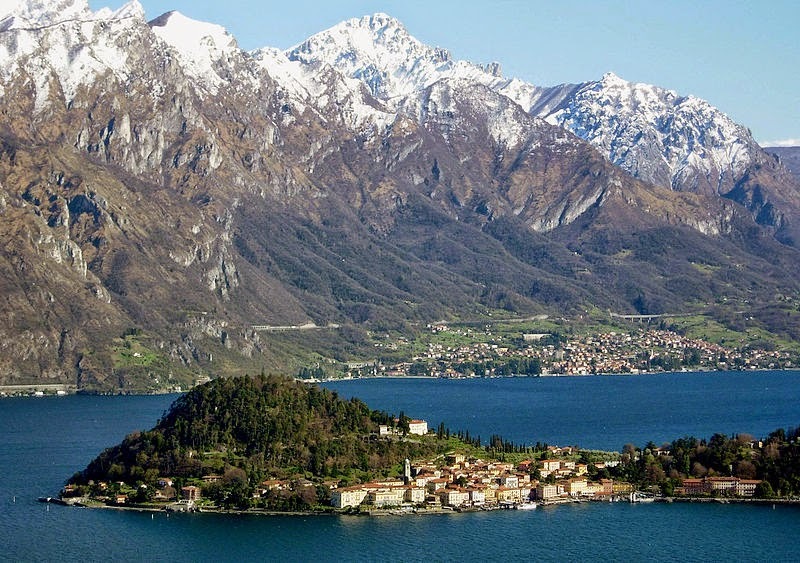 - The web site Lake Como Homes suggests Villa La Gaeta starts at €820 ($936 USD) for a minimum two night stay. Lake Como (Lago di Como in Italian, also known as Lario, after the Latin name of the lake; Lach de Comm in Lombard; Latin: Larius Lacus) is a lake of glacial origin in Lombardy, Italy. It has an area of 146 square kilometres (56 sq mi), making it the third-largest lake in Italy, after Lake Garda and Lake Maggiore. At over 400 metres (1,300 feet) deep, it is one of the deepest lakes in Europe, and the bottom of the lake is more than 200 metres (660 ft) below sea level. Amusingly enough, I discovered a web site called Bond Lifestyle which purports to show all things Bond. If you're an aficionado of the fictional character, you too can fashion yourself as a suave gentleman, er, spy about town. Clothes? Cars? Exotic locales in the world? Hmmm, I can't help think of the fans, the fanatics, of cosplay who dress up as Trekkies or some other such comic book character at various conventions in tribute to their hero or heroine. I suppose one could argue that dressing up in a tuxedo seems more grown-up and sophisticated, but at the end of the day, isn't it all roleplay? Even if we're adults and supposedly no longer children, is there a touch of fantasy in us which enjoys a moment of pretend? According to Wikipedia, the average age of a video game player is 30 with 58% of gamers being male and 42% female. A study on cosplay revealed an average age 28 years old, an age range of 15-50, with 65% female. If cosplay seems too juvenile, I see that there are companies offering real-life spy games for those of us adults who want to pretend we're involved with the CIA. (Spy Games, Spy Inc) And who says only kids play games? An acquaintance told me of a vacation last year at Lake Como. Apparently, it is a beautiful part of the world. I will have to add this to my bucket list and not wait until my double O designation comes through from MI6. 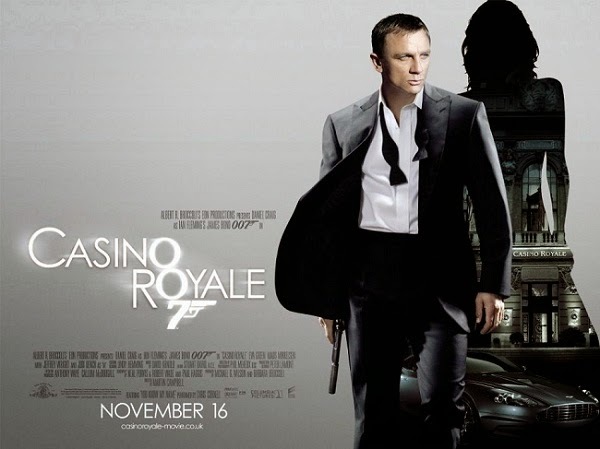 Casino Royale is the twenty-first film in the Eon Productions James Bond film series and the first to star Daniel Craig as the fictional MI6 agent James Bond. Directed by Martin Campbell and written by Neal Purvis, Robert Wade and Paul Haggis, the film marks the third screen adaptation of Ian Fleming's 1953 novel of the same name. Casino Royale is set at the beginning of Bond's career as Agent 007, just as he is earning his licence to kill. After preventing a terrorist attack at Miami International Airport, Bond falls in love with Vesper Lynd, the treasury employee assigned to provide the money he needs to bankrupt a terrorist financier, Le Chiffre, by beating him in a high-stakes poker game. The story arc continues in the following Bond film, Quantum of Solace (2008). The Bond Lifestyle website was founded in October 2005 by Remmert van Braam, in order to make an informational fan website about the products and brands that are used by the fictional character James Bond in movies and books. Since then, the site has become one of the most visited Bond websites in the world. In the spring of 2006, the movie Casino Royale was filmed in front of this villa (the last scene of the movie when Bond shoots and meets Mr. White, and utters the famous words "Bond... James Bond"). With the new Bond flick in the wings (Skyfall opens on November 9, 2012 in North America), I thought to take a look at all things Bond and compile some of what I considered to be the more interesting trivia that hopefully your not quite so fanatical fan of the series might enjoy. Yes, your true aficionado will devour absolutely anything related to Bond but for the majority of us, hey, let's not go nuts here. We do have a life. International Women's Day (IWD), originally called International Working Women’s Day is marked on March 8 every year. ... Daniel Craig and Judi Dench reprise their roles from James Bond to support this event. If you haven't seen the film, tch, tch. Rotten Tomatoes classifies anything over 60% as being good and this twenty-third installment of the Bond franchise comes in with an amazing 92%. What are you waiting for? Get out there and get out there now!